President Emmerson Mnangagwa was yesterday forced to abort his shopping at OK supermarket in Kwekwe after an enthusiastic crowd instantaneously swarmed the shop jostling for ‘handshakes, selfies and a glimpse’ of him. 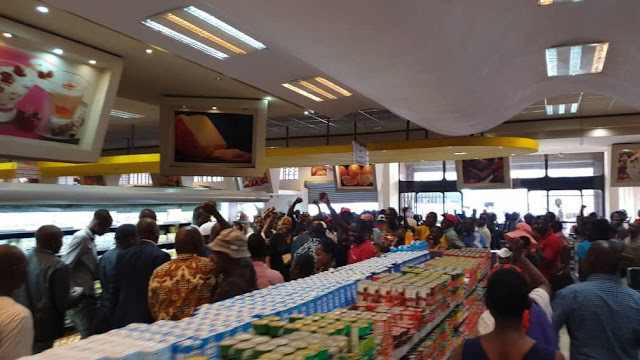 The President casually walked into the supermarket at about 1 pm, attracting followers who had abandoned their businesses in the environs of the shop. The crowd followed him, as he walked around the shop, cheering and whistling — in an apparent excitement after an unusual up-close with the Head of State. OK Kwekwe branch management had to temporarily close the shop in a bid to restore order after The President had left. Kwekwe is President Mnangagwa’s home town and according to OK Kwekwe supermarket management, he has been a regular client for the last 20 years. Yesterday the President, who usually spends weekends at his Kwekwe farm, had gotten into the shop intending to purchase some grocery items and also have first hand general experience. When The Sunday Mail arrived at the supermarket, the President was already walking out without shopping with people still mobbing him. His security personnel had a torrid time controlling the crowd that wanted time with their leader. In his usual jovial mood, the President went about greeting and shaking hands with the insistent crowd as he was accompanied out of the shop by security to his vehicle. 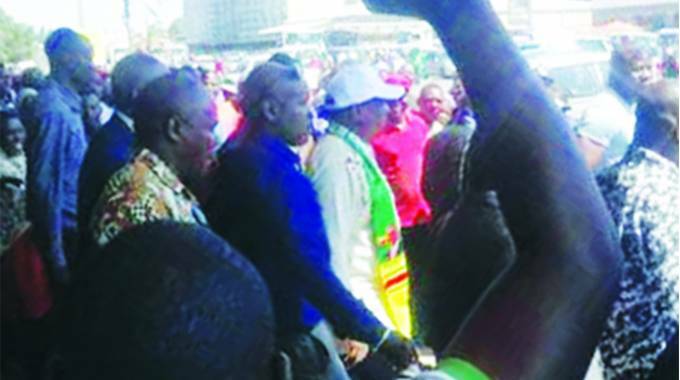 Before stepping into the vehicle, the President waved to the crowd, a gesture that prompted a rapturous response in jovial cheers with some shouting “zvaitwa Murambwi! Shumba!”.